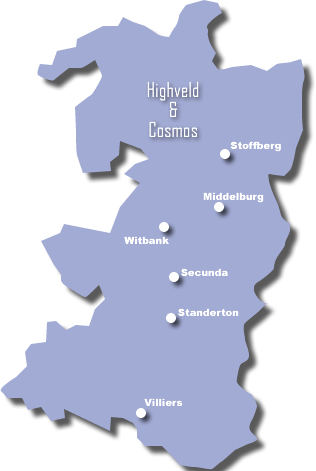 Conference Facilities South Africa has a comprehensive list of conference venues and centres with conference facilities in the Highveld region of the Mpumalanga Province in South Africa. The Escarpment region of the Mpumalanga province n South Africa is known for its good rainfall. This area has a wealth of hiking trails winding through pine and indigenous forests with age old tree ferns reflecting the distinctive charm of the Escarpment region of Mpumalanga. The region is also known for its panoramic views and seasonal grasslands strewn with wild flowers, aloes and proteas. The many streams of the Mpumalanga Escarpment are rich with trout and fly fishing is a popular activity here.